Yesterday was a beautiful sunny day, so I picked a load of freshly budded beech leaves and put them in a glass jar with a litre of gin dregs. It must be seven or eight years since I last made noyau, but I was inspired to have another go by @_littlebrowndog, a fellow member of the whisky world who is also responsible for the fascinating #projectPEAT. 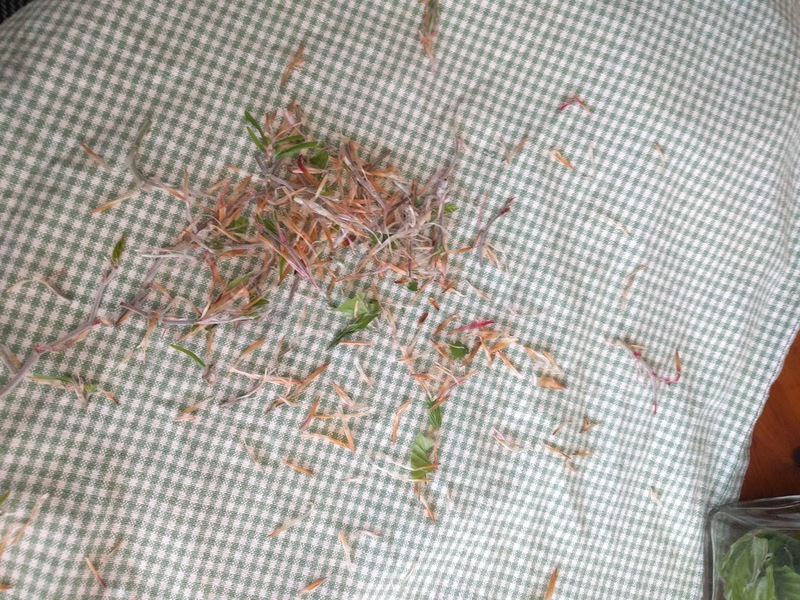 The discarded scraps of bud. Very fiddly. 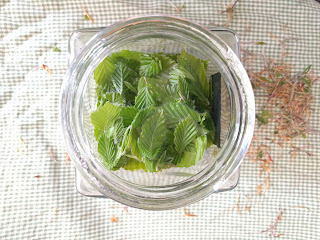 In the past I've not managed to catch the leaves at quite the earliest stage, but this time I was able to select the freshly budded leaves, many of which still had the wispy pink bud covering. This made preparing the leaves rather fiddly, but they were so soft (and importantly, not at all waxy) that the process of extracting flavour is sure to be much faster. The gin dregs were selected from about forty different gins on the simple basis of whether on not I consider them to be any good. So the bland, the odd, and those with any off notes were rejected. 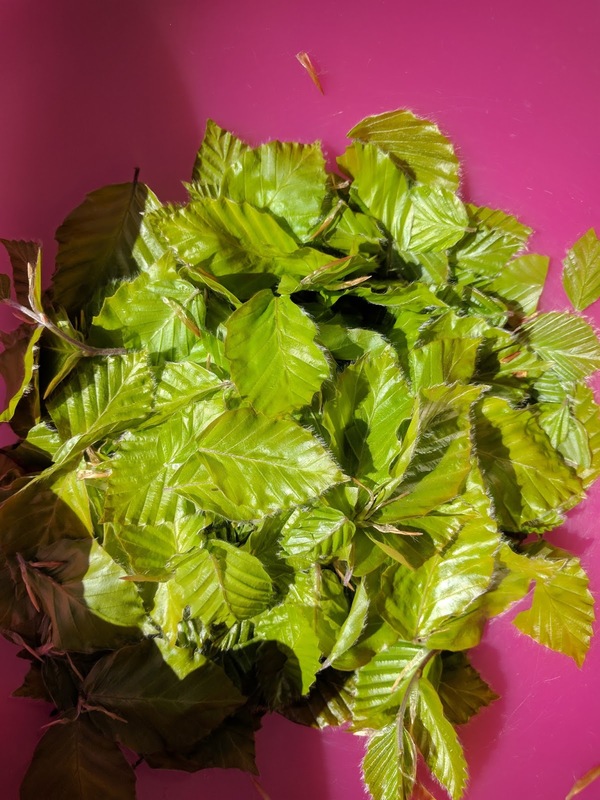 It does mean that there are rather a lot of botanicals competing with the fagus silvestris, but it's so long since I've made noyau that everthing about the process is once again experimental. I'll update this blog post in a wee while (a few days, a few weeks? Not sure yet) once I reckon the gin is sufficiently green (although I seem to remember it's more of a yellow than green). 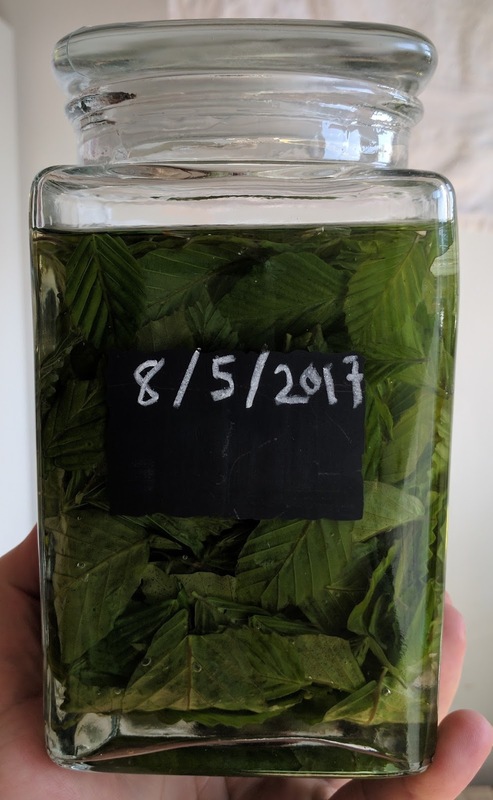 Leaves, jar, but no gin.